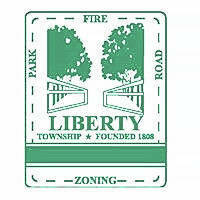 In a special meeting Friday, the Liberty Township Board of Trustees approved scheduling a public hearing to consider the Zoning Commission’s motion to amend the text of the Liberty Township Zoning Resolution. The public hearing is scheduled for the next regular trustees meeting at 7 p.m. Monday, Aug. 6, in the township hall located at 7761 Liberty Road, Powell. “It’s part of the Ohio Revised Code. We have to follow certain steps,” said Matt Huffman, township administrator. The Zoning Commission on June 20 unanimously approved sending the revised amendments of the zoning resolution to the board of trustees. Huffman told trustees that it would “probably be one of the first items on the agenda” for the Aug. 6 meeting. “If adopted, Article 4 and Article 20 will be amended,” he said. According to the current definition of a structure under Article 4, “landscaping mounds having a height less than 18 inches from a finished level of grade” do not require a permit from the township, but mounds greater in height could require a permit. At the last regular trustees meeting June 18, Trustee Melanie Leneghan aggressively declared that she wanted to retroactively drop all mound sizes in the permit process from the zoning resolution. Huffman sought a legal opinion on the matter from the Delaware County Prosecutor’s Office. “You can’t make it retro,” he told her at the time. The appeal states that Mullenhour decided that a large mound of earth constructed on the property of Thornwood Taggart Road LLC located off of Taggart Road did not meet the requirements for a permit, though it far exceeded the 18 inches as prescribed in the township’s current zoning resolution. According to the appeal and Mullenhour, the large dirt mound located behind the Olentangy Falls subdivision on Hyatts Road was constructed by Martin Savko, owner of Savko Brothers Properties X LLC. Later in the meeting, trustees authorized the expenditure for private legal counsel to assist the township’s Board of Zoning Appeals with the complaint filed by Sunderland. Huffman told the board that the Public Entity Risk Services of Ohio recommends using the firm Mazanec, Raskin & Ryder. Trustees approved the expenditure for legal counsel but held off approving the hire of Mazanec, Raskin & Ryder. Once the hearing was scheduled, trustees moved forward to approve purchase orders and blanket certificates. Leneghan noticed a purchase order in the amount $30,000 to Mount Carmel Occupational Health and asked Battalion Chief James Reardon if it was for the firefighter’s annual physicals and if they had been completed. Nancy Denutte, fiscal officer, told Leneghan that it was only the purchase order for the physicals. Reardon confirmed that the physicals had been scheduled starting in September. He also said that the physicals usually are scheduled in May and June. In a separate matter, Trustee Shyra Eichhorn pointed to a purchase order of $25,000 for the services of Zashin and Rich Co. LPA. Trustees then approved the township’s bills and warrants between June 1 and July 13 totaling $63,311 and $521,369. • An invoice for $2,715 to Fire Apparatus Service and Repair of Xenia for emergency roadside repairs of the fire department’s Tanker 321. • Additional expenditures for the re-chassis of a fire medic (ambulance) for the purchase of a new bumper and siren bringing the total of the refit to $163,712. The department had budgeted $165,000. • Fire department fee schedule changes due to changes in fire codes in 2017 by the state fire marshal. “What we have done is brought our fees in line with what the state charges,” said Lieutenant Tom Saunders, fire prevention officer. • Payment for transitional work policy as part of a grant from the Ohio Bureau of Worker’s Compensation. According to the resolution, the township is responsible for 25 percent of the cost of the program’s development. Huffman said the resolution was to get money back. All votes for the items on the agenda Friday were unanimous among all three trustees. This entry was tagged D. Anthony Botkin, Earthen Mound, Jay Sunderland, Liberty Township, Martin Savko, Matt Huffman, Melanie Leneghan, Shyra Eichhorn. Bookmark the permalink.